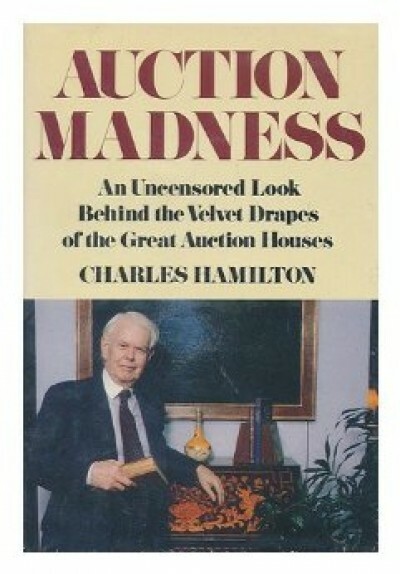 Hardcover book, "Auction Madness", by Charles Hamilton. Everest House; NY: 1981 Everest House Stated 1st Edition, 1st Printing w/ "First Edition", Code "RDD1081" & no additional printings on copyright page, approximately 6"X8", 255 pages. Indispensable reference by the late "Dean of Autograph Dealers" for the autograph collector. Long out-of-print and difficult to find. Hamilton exposes the tricks & devices used by auction houses at public auctions and instructs you on how to avoid being "taken". Also contains many autograph facsimiles and interesting autographic lore.